An increasing demand for luxury polar bear products is posing a significant risk to polar bear populations in the Arctic already under stress from diminishing sea ice, according to Dr. Stanislav E. Belikov from the All-Russian Research Institute for Nature Protection. Reducing the demand for these products is key for the long-term survival of the species, he argues. Although delegates at the 16th Conference of Parties to the Convention on International Trade in Endangered Species of Wild Fauna and Flora (CITES) in Bangkok, Thailand voted in March 2013 not to up-list the polar bear from Appendix II under the convention to Appendix I, those such as Dr. Belikov who support the polar bear up-listing will continue to push for the up-listing of the species at future CITES conferences. In this interview, Dr. Belikov explains how international trade in polar bear parts endangers the species, and why reducing the demand for products such as polar bear pelts and heads could contribute to preserving the animal over the long term as it faces an increasing threat from diminishing sea ice, its natural habitat. Russia favours the up-listing of the polar bear to Appendix I status under CITES. What is the rationale behind the Russian position? Is it the official position of the Russian government or only certain interest groups within Russia? Yes, this is the official Russian position. Russia has supported the US proposal to up-list the polar bear to Appendix I. In order to be up-listed, two criteria must be met: first, it must be proved that the species is threatened with extinction; second, international trade in polar bears or polar bear parts harms the species. Undoubtedly, I believe that the polar bear meets the first criterion. Many polar bear specialists agree that polar bear survival is linked with the extent of sea ice in the Arctic Ocean. The sea ice is rapidly shrinking due to climate change, so the polar bear's natural habitat is decreasing. According to model-based projections, by mid-century the melting of Arctic sea ice may lead to a decrease in the polar bear population by half or even two-thirds. Climate change is having an extremely negative impact on the world population of polar bears. Human activity associated with Arctic exploration and development of the Arctic continental shelf's resources and habitat pollution are also having negative impacts. However on top of these stressors, another one plays a key role: the over-hunting of polar bear sub-populations in Canada. 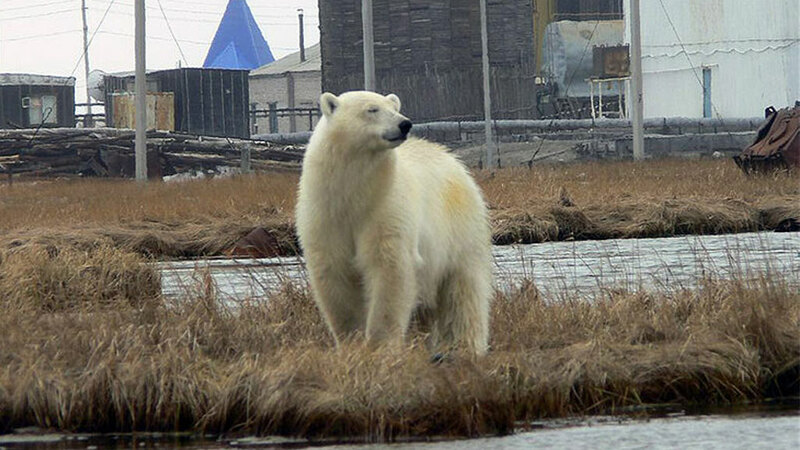 Studies have revealed that excessive polar bear exploitation adversely affects the sub-populations in the western and southern parts of Hudson Bay. I believe it is very important to regulate international trade in polar bear products. This can be achieved through up-listing polar bears to Appendix I under CITES, which will prohibit commercial polar bear hunting for the purpose of exporting polar bear products. According to Enviornment Canada, polar bear populations are much larger now compared to the 1960s and 1970s, before the 1973 Agreement on Conservation of Polar Bears was signed. (Estimates of the total pan-Arctic polar bear population were between 8,000 and 15,000 in the 1960s; current estimates according to Environment Canada are between 20,000 and 25,000). It seems their numbers have been increasing. Does an imminent threat to polar bears currently exist? First of all, in the 1960s and 1970s, it was only possible to produce estimates based on studying just a handful of polar bear populations. Now we can make estimates based on modern data – although the data could be more precise. Secondly, there are 19 recognized polar bear sub-populations (previously referred to by scientists simply as "populations") in the Arctic. According to the materials of the 15th Meeting of the IUCN Polar Bear Specialist Group (PBSG) in 2009, if you look at these 19 sub-populations, the number of polar bears is decreasing in eight of them, and seven others have not been adequately studied. In the remaining four, three sub-populations are stable, and only one is seeing an increase. Consequently, there is every reason to believe that the overall polar bear population in the Arctic is declining. If retreating sea ice is the main threat to polar bear survival, how would putting further restrictions on trade in polar bear products have any impact on maintaining their populations? Across the Arctic, 700-800 polar bears are harvested annually, of which 600 are harvested in Canada – the only country where commercial hunting of polar bears is legal. Canada holds international auctions of polar bear pelts, which are then exported abroad to countries like Japan, China, Russia, Norway, Denmark, and others. There is a growing demand for polar bear products on the global market. In 2007, there were about 40 pelts sold at one of the Canadian auctions; in 2012, the number of pelts sold jumped up to 150. Russia is no exception when it comes to growth in demand. In recent years, the price for legally imported pelts almost sextupled, rising from $5,000-$7,000 to $30,000-$40,000. I believe that the increasing demand for polar bear pelts is leading to excessive hunting of some polar bear sub-populations in Canada. Indigenous communities in the Canadian Arctic have been raising hunting quotas in recent years. Up-listing the polar bear to Appendix I would reduce demand for polar bear products. As a consequence, hunting activities would decrease, and this would help to preserve the species. It is illegal to hunt polar bears in Russia, however illegal hunting of the species still goes on. How big a problem is it? In the 1960s and 1970s, illegal hunting was very limited. But during the 1990s, when the economic situation in Russia was difficult, illegal hunting increased. During this time, illegal hunting flourished in Chukotka and a number of other places on the Arctic coast of Russia. Over the past decade, the rate has finally gone down, although it hasn’t vanished completely. Illegal hunting is an internal problem, which needs to be addressed urgently. Sometimes polar bear pelts are sold illegally online, or they enter Russia from other former Soviet Union countries like Ukraine, for example. In your opinion, are polar bear conservation laws adequate in Russia? The polar bear is listed in the Red Data Book of the Russian Federation, which means that any economically motivated killing of polar bears, as well as all other species listed on it, is illegal. An exception is made for scientific research, threat to human life, and, with a special permit, satisfaction of the needs of Arctic indigenous peoples. Russia was the first country in the world to adopt a serious polar bear preservation measure when it placed an absolute ban on polar bear hunting in 1956. Norway became the second country to do so in 1973. Thus, the legal base is quite well-developed. Unfortunately, local-level enforcement is not satisfactory. Would a ban on international trade in polar bear products have any effect on their trade on the black market? Whether we are talking about black market trade in polar bear pelts in the former Soviet Republics, or legal polar bear hunting in Canada, they are both part of the same mechanism: a mechanism that contributes to increasing the demand for polar bear products. The main objective is to lower the demand for pelts so that hunting levels will decline, too. So is there a problem of enforcement in Russia? There is. However, one has to acknowledge that enforcing these regulations in sparsely populated territories with a harsh climate is rather difficult. Polar Bear Patrol brigades have been created in some coastal settlements, yet they provide only a partial solution. A step-by-step approach should be taken to ensure sufficient protection for polar bears. Russia was one of the first countries to adopt a Strategy for Polar Bear Preservation in the Russian Federation. It contains an action plan that prescribes the necessary measures to be undertaken on the federal and regional levels to make sure polar bear populations are preserved. The plan is well-designed. However the implementation of the strategy – scientific research, monitoring, etc. – requires funding, which, unfortunately, the Russian government cannot provide at the moment. There are many challenges, but the financial challenge is probably the main one. When we communicate with our indigenous colleagues in PBSG, they do not mention such things. They understand that we are trying to solve the problem of illegal hunting in Russia. One issue is that due to high demand for pelts, sometimes hunting quotas in Canada exceed scientific recommendations. An estimated 70-90 polar bears per year fall prey to illegal hunting in the Russian Arctic; meanwhile in Canada, about 600 bears are killed legally every year! Bearing in mind that most of the investigated polar bear sub-populations are declining, hunting this many polar bears is excessive. Further protection measures should be taken on the federal level, both in Canada and in Russia. I should also add that due to their shrinking sea ice habitat, polar bears are venturing more onto land, and encounters with humans are becoming more frequent, especially near coastal settlements. We are trying to solve this problem, too – how to protect human life in such cases, as well as how to educate the local population to behave carefully when they meet a polar bear, so as to not provoke an attack. The countries comprising the polar bear's natural habitat have already held three meetings, and are now discussing an action plan to save the polar bear, which would take into account both anthropogenic stressors and climate change. In your opinion, if the polar bears were to be up-listed to Appendix I, do you think this would create significant tensions between the circumpolar Arctic countries? I don’t think so. An international trade ban would not prohibit polar bear hunting on national levels. I believe that the Canadian authorities will sooner or later realize that the proposed measure is aimed at preserving the species. It would be a functional mechanism. Moreover, it would oblige governments to think of additional preservation measures. Regardless of whether they are ever up-listed, I do not believe it would harm relations between Arctic countries. Dr. Stanislav Belikov is a poalr bear specialist who works at the All-Russian Research Institute for Nature Protection (ARRINP). He is also a member of the IUCN/SSC Polar Bear Specialist Group.